Welcome to the support website for new or current CDC-recognized National Diabetes Prevention Programs (National DPP) in Utah! Contact us to get started today or for help with your program. You'll find the latest news and information on webinars, trainings, grant opportunities and more. If you would like to explore local opportunities for funding to help with your National DPP organization, please contact your local health department National DPP lead. They will let you know of technical support and funding opportunities available in your area. Visit our Lifestyle Coach training section for the dates of our next 2-day training. Also, there are several national CDC-recognized coach training organizations you can contact to find out where and when their training will be held. We will routinely update our site with what’s new from the CDC on the National DPP. Keys to Success Tips Sheets on recruiting participants, increasing retention of participants, collecting and monitoring data, a Welcom Guide and Welcome Video. Tips on how to successfully start a National Diabetes Prevention Program. 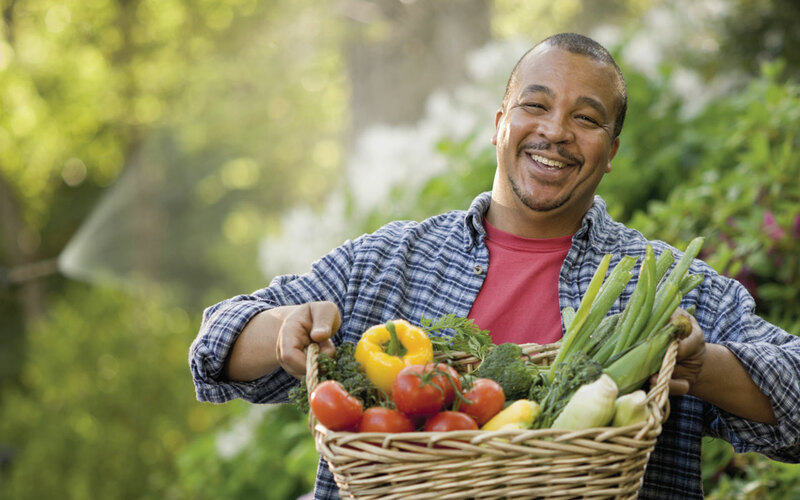 Weigh the Costs and Benefits of CDC-Recognized Lifestyle Change Programs by using the new Diabetes Prevention Impact Tool. Additional interactive online toolkits can be found on our Resources page. Please contact your local health department lead or the Utah Department of Health for assistance. *Inquire about program coverage for Medicare beneficiaries. Information on lifestyle coach trainings, upcoming webinars and more are in this section. The Utah Department of Health will list training opportunities and other professional development throughout the year. Check back often! If your organization needs training for your lifestyle coaches, the national agencies listed on the CDC’s website can help. The training centers have signed a memorandum of understanding (MOU) with CDC to provide training. Some of them can also provide training for Master Trainers, who can, in turn, train lifestyle coaches in their own and partner organizations. Visit the CDC's website at www.cdc.gov/diabetes/prevention/lifestyle-program/staffing-training.html for an updated list of national training centers for in-person and online training. The following agencies offer local in-person trainings throughout the year. The Diabetes Training and Technical Assistance Center (DTTAC) located at Emory University offers an online learning community. Lifestyle coaches can ask questions of each other, DTTAC staff and Master Trainers, and download helpful resources. Join Common Ground today! A Master Trainer for the National Diabetes Prevention Program (National DPP) is a highly qualified individual meeting the requirements for a lifestyle coach in the National DPP. They provide lifestyle coach training and assist in capacity building for scaling and sustaining the program. Download and print How to Become a Master Trainer (PDF). We've provided a list of some of the most frequently asked questions. Prediabetes is a condition people get before they are diagnosed with diabetes. Prediabetes is characterized by blood sugar levels that are higher than normal but not yet high enough to be diagnosed as diabetes. Q: How can I tell if I have prediabetes? Only a doctor can determine if you have prediabetes. A simple blood test will determine if you are at risk. Contact your doctor today to learn more. You can find out if you’re at risk for prediabetes by taking the online risk test at www.doihaveprediabetes.org. Q: Who is at risk for prediabetes? If you fall into three or more of the following categories, you may be at risk for prediabetes or diabetes. About 86 million American adults—more than 1 out of 3—have prediabetes. Q: Could I have prediabetes and not know it? Yes. It is estimated that 9 out of 10 people with prediabetes do not know they have it. People with prediabetes often don’t have or notice any symptoms. It is important for those at risk to regularly monitor their health with their doctor and seek lifestyle changes to maintain health. Q: What are the symptoms of prediabetes? Often there are no symptoms associated with prediabetes. Possible symptoms of prediabetes include unusual thirst, a frequent desire to urinate, blurred vision, or fatigue. Q: Is there any way to reverse prediabetes? Yes! The good news is that prediabetes can be reversed. The sooner a person is diagnosed and takes action, the more likely they’ll be able to reverse it and prevent or delay type 2 diabetes. Q: Why should I be concerned if I have prediabetes? When a person has prediabetes, they’re on the path to developing type 2 diabetes, and are also at increased risk for serious health problems such as stroke and heart attack. Q: What can I do if I find out I have prediabetes? There are prediabetes classes available throughout Utah that can help you make healthy lifestyle changes and lower your risk for developing type 2 diabetes. Search for the National Diabetes Prevention Program! Q: How do I submit my data to the DPRP? Q: Can children under 18 years old attend the National DPP class? The National DPP prediabetes classes are intended for adults 18 years and older. If your child attends with you, it’s not recommended that they get weighed in or provide any personal information to the lifestyle coach. Data for youth are not sent on to the CDC DPRP. Q: If I have a participant drop out before the first 4 sessions are done, are we able to bring in a new participant at that point as long as they still meet the minimum meeting requirement? Any participant who attended their first session in the effective year, is eligible, attended four or more sessions; and in this case, adheres to the weekly session requirement in the first 16 weeks, will be included for analysis. If you have additional questions or comments, please email dprpAsk@cdc.gov. Q: When should I conduct a make-up session for a participant who has missed class? CDC strongly recommends that delivery organizations schedule make-up sessions on different days than class days so that participants only attend one session per day. Only one session per day per participant will be evaluated by CDC for recognition purposes, so if there are multiple sessions in one day, they won’t all be reflected in your organization’s evaluation. For the convenience of the lifestyle coach and participants, make-up sessions can be held over the phone. In this situation, weight and physical activity minutes can be self-reported. If you have additional questions or comments, please email dprpAsk@cdc.gov. Q: If a participant is diagnosed with type 2 diabetes during my yearlong class, do I submit their data to the DPRP? If your organization has a participant who is diagnosed with type 2 diabetes during the yearlong class, they will need to drop out and seek diabetes self-management education and you wouldn't send their class data to the CDC's recognition program (DPRP). Q: Could I use my Health Savings Account (HSA) to pay for National DPP classes? Yes, some of the HSA companies will allow it, but there are certain steps that need to be followed. Contact your HSA to find out if they allow it, and the guidelines for reimbursement. Q: How long does it take to become fully recognized by the CDC-DPRP? As outlined in the Standards, recognition status will be assessed 24 months after the organization’s effective date. An organization will receive full recognition status if it has demonstrated program effectiveness by achieving all of the remaining seven requirements. These recognition requirements will be assessed based on data from all of the lifestyle interventions (each having a duration of 1 year) that were delivered in their entirety by the organization during the 24-month period. If after 24 months the organization has not achieved all of the requirements for full recognition, it will continue in pending recognition status for an additional 12 months. During this period, DPRP will provide technical assistance to the organization to help it achieve full recognition. A 36-month evaluation will be performed, based on data from participants who attended their first session at least one year but not more than 2 years before the submission due date. If the organization is not successful in achieving full recognition at the end of this period (36 months after its effective date), it will lose recognition and must wait 12 months before reapplying for recognition. Fully recognized organizations will continue to submit evaluation data every 12 months and will be re-evaluated every 12 months based on data from participants who attended their first session at least one year but not more than 2 years before the submission due date), but will not need to reapply for recognition. Organizations failing to meet of the requirements for full recognition for two consecutive years will lose recognition and must wait 12 months before reapplying for recognition. Q: Once a class starts to meet once per month, which week do participants count and report their physical activity minutes to us? You may record the physical activity minutes for the previous week only. If the participant didn't have any PA minutes during the that previous week, then you may take the week before.